While it may not be immediately obvious when you use power tools or are carrying out a construction project, springs are a common component in pretty much every application. The construction industry makes use of springs on a daily basis, whether it’s through a suspension system in a vehicle that uses compression springs, or a simple bulking device. In fact, springs are one of the most critical components to the success of the entire construction industry. This is because springs provide builders with the efficiency, portability and flexibility they demand from their power tools. Without springs, construction would be a much slower process. If you’ve ever set foot on a construction site before, you’ll know just how essential and common power tools are. Throughout the industry, power tools help builders make light work of tough tasks and can seriously reduce the amount of time spent on a job. In order for a power tool to work as it should, it needs to be accurate and highly versatile. This kind of agility is provided by premium quality springs that have been expertly designed with crafting the perfect tooling device in mind. There are a number of aspects to consider when deciding what type of spring to use in order to make a power tool as efficient as possible. To determine the correct spring for your specific device, it’s important to consider everything from the grade of the material which is used to manufacture the spring, to the number of turns if your device requires a coiled spring. You should also think about the diameter of the spring as well as the spring’s durability. The power tool industry is incredibly competitive and is set to grow to be worth $35.58 billion by 2023. That level of competition means manufacturers need to seek out an edge wherever they can, and quite often they can find it by using high-quality springs. The better the springs in a power tool, the more durable and reliable it is. Construction workers want reliability from their power tools and want to step on to a site knowing that their tools won’t let them down. If a manufacturer can deliver consistent levels of reliability to its customers, it can give itself an edge over the competition. Customer satisfaction is vital in most industries and the construction industry is no different. If your tool isn’t up to scratch, customers will either return it or let everyone they know just how unreliable it is. Cutting corners on elements such as springs may save money in the short term, but the reputation of the manufacturer will ultimately suffer. 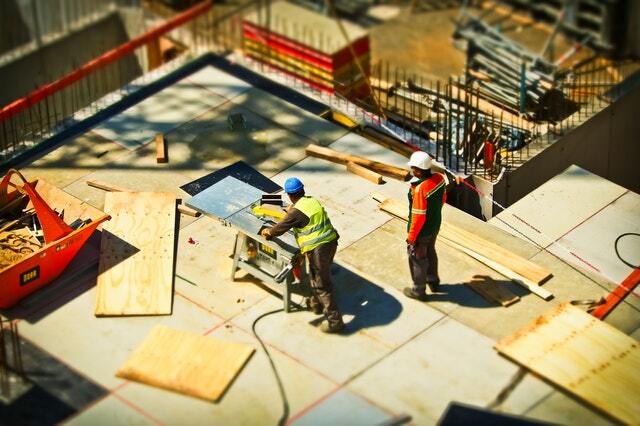 Safety is one of the biggest selling points within the construction industry. Nothing destroys a business faster than unsafe tools and construction vehicles. If a spring breaks, it doesn’t just result in an inconvenience; sometimes it can be a safety hazard. An unsafe tool simply isn’t worth the risk. For more information on any of our springs, be sure to contact us. As custom spring manufacturers, we’ll be more than happy to assist you with any questions you may have.